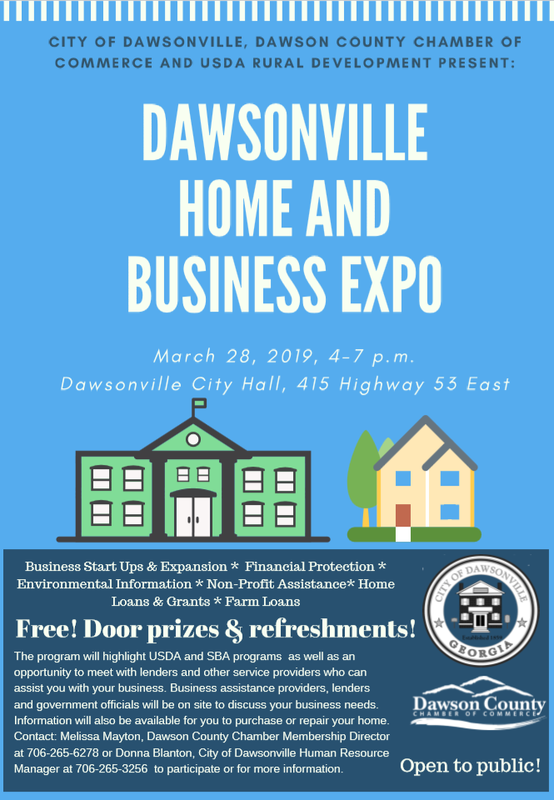 The program will highlight USDA and SBA programs as well as an opportunity to meet with lenders and other service providers who can assist you with your business. Business assistance providers, lenders and government officials will be on site to discuss your business needs. Information will also be available for you to purchase or repair your home. 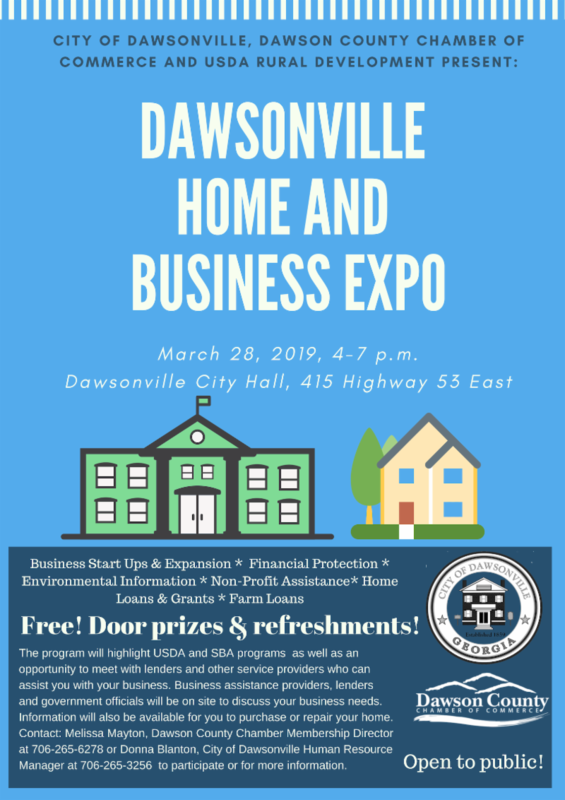 Contact: Melissa Mayton, Dawson County Chamber Membership Director at 706-265-6278 or Donna Blanton, City of Dawsonville Human Resource Manager at 706-265-3256 to participate or for more information.